Heating Repair and Service Fort Collins: Time for a New Furnace? No furnace lasts forever, but a good furnace can last ten years or more. Eventually, though, every great furnace is going to need to be replaced. So how do you know when it’s time? You are paying for repairs more frequently. Many furnaces start to require more and more repairs the older they get. If you feel like you are constantly on the phone with a repair team from Ace Hi, then you might want to consider replacing your furnace instead. It could actually help save you money on repair costs in the long term. There are warm and cold spots in your home. Warm and cold spots in your home are a sign that you either have a furnace that’s unable to properly heat the size of your home or it’s no longer running efficiently. It could be a sign of an impending furnace failure, too, so you’ll want to have it checked out by a professional. You’ve seen your heating bill increase. Rate hikes from the utility company are one thing, but if your heating bill is creeping up and you haven’t had a rate increase, that’s something else entirely. It could be a sign that your older furnace is having to work harder to heat your home. You’ll definitely want to have it services to see if it’s a fixable issue or if you’ll need to have it replaced. There are strange noises and/or smells coming from the furnace. 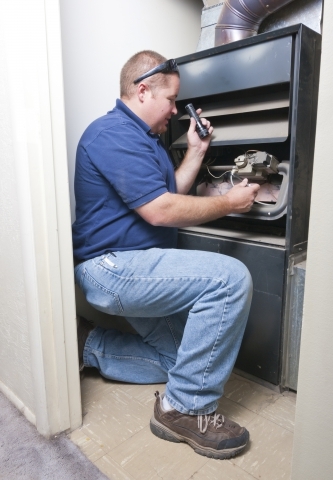 Strange smells and noises are often the first sign that there is an issue with your furnace. If you’re suddenly hearing your furnace make strange sounds or there is a weird smell when it kicks on to heat your home, you need to have it checked by a repair professional. It’s been 10 or more years since you’ve replaced it. The truth is that furnaces have come a long way in the last 10 years! If it’s been that long (or longer!) since you’ve replaced your furnace, you should consider doing so. Today’s furnaces use less energy to heat your home, making them more friendly on the environment and your wallet. If you suspect that it’s time to replace your old furnace, get in touch with our Fort Collins heating repair and service company, Ace Hi. We offer great prices on furnaces that you’ll love and can replace your old furnace in no time. Get started by clicking on the button below! Get Your Furnace Replaced Today!